You can lead a horse to water, but you can’t make Brad Pitt stop doing movies about World War II. 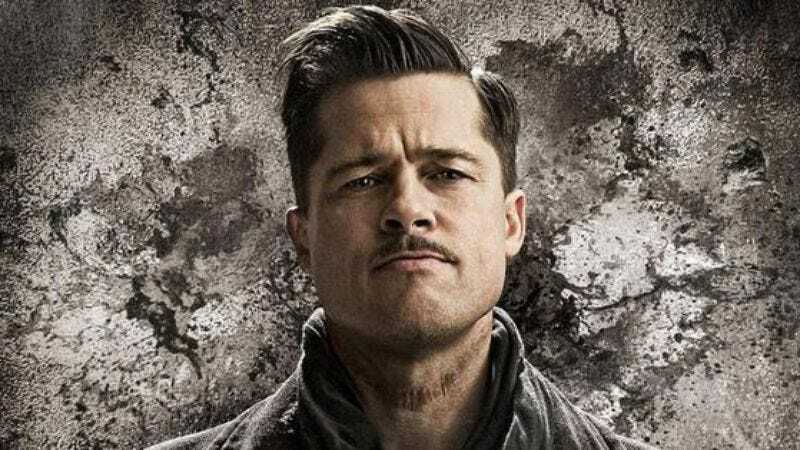 After starring in the 2009 WWII black comedy Inglourious Basterds and amid post-production on David Ayer’s WWII action-drama Fury, Pitt is now also in early talks to star in a romantic thriller, also set during the Second World War. It’s a rare for a modern actor to go for the triple crown of films set in a single six-year period, though Pitt is, as always, rivaled by George Clooney, who already has The Thin Red Line, The Good German, and The Monuments Men under his belt. According to Variety, British screenwriter Steven Knight will pen the script for Pitt’s untitled project. Plot details are being kept under wraps and there’s no director on board yet, though the tagline “Brad Pitt is romantic during the 1940s” will probably be enough to sell tickets.